Course Aim: To provide students with the essential skills and knowledge necessary to provide care management to a wide spectrum of sick and injured patients, it also prepares students to undergo the Pre-Hospital Care Council (PHECC) examination. This is the minimum requirement to work on an ambulance in Ireland. Course Structure: 120 classroom hours followed by 40 hours clinical placements. Course Content Overview: The course provides practical information, skills and knowledge on a diverse range of injuries and illness faced by an operational EMT on a daily basis. Please see below for a course overview. Introduction to the Irish EMS System. The wellbeing of the EMT. 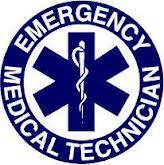 Tutors: All tutors are experienced Paramedics or Advanced Paramedics.